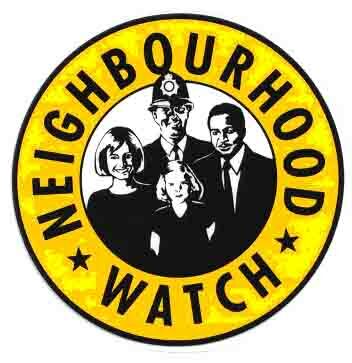 If you are a concerned citizen of the UK who believes that there is not enough which is being done to protect the residents of your neighborhood, then there is a solution you can turn to: a neighborhood watch. A neighborhood watch is comprised of a collection of people who live within a neighborhoodâ€™s borders. Each member has a vested interest in providing a safe environment for every person who lives within the community. The principle is simple in that there is strength in numbers. If more people participate, then it is much more likely that everyone will remain more safe. However, there are some key aspects that you must consider before starting a program of this sort. Many UK neighborhoods have something called a neighborhood board meeting. Issues such as safety, crime and community rules are often discussed or created at these meetings. This makes the meeting a perfect place to raise the idea for a neighborhood watch program. You will find that most people are on board with such an idea, because it serves to help everyone who lives within the vicinity of the watch program. Just make sure that you come prepared with sound reasons for why a neighborhood watch is necessary. One of the key aspects of any neighborhood watch is funding. Funding is used for a variety of purposes. Funds are needed to improve the aesthetic appeal of the neighborhood, to pay a cross walk worker, to bring attention to crime by erecting signs, or perhaps to provide a safe place such as a park for children to visit after school. If you decide that raising funds is necessary, then you must be prepared for some backlash if the requested funding is too expensive. Keep funding for the program reasonable, and more people will be on board with contributing money. Another aspect to starting a neighborhood watch program is setting up meeting times and dates. The important part of setting up meetings is consistency. Make sure that the meeting days are all the same, such as every Tuesday or Thursday, for example. Avoid making the meeting days on Fridays when most people are getting off of work and are ready to enjoy the weekend. Schedule the meeting times for after work hours, and give careful consideration to anyone who is opposed to the suggested meeting times. This will ensure that every memberâ€™s voice is heard. Finally, gathering contact information such as home addresses, e-mail and phone numbers, is a critical part of the process. This is especially true during the beginning stages of the neighborhood watch program. It allows all members to get into contact with others if they have any questions. Establish a central contact person who has a majority of the information on hand as well. Easy access to information will allow things to run much more smoothly. There is little doubt that the establishment of a neighborhood watch is a necessary part of safety for many communities, and starting one up can pay dividends in the future.